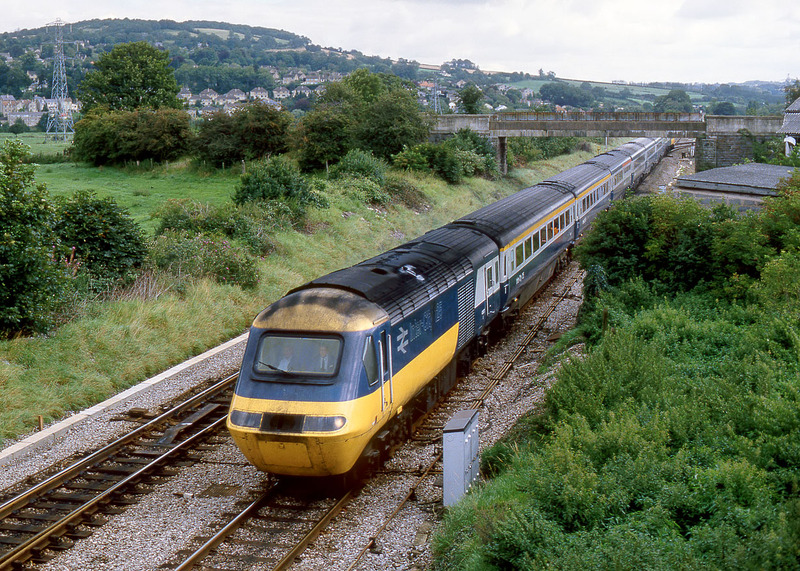 43007 leads the 1B22 09:00 Paddington to Weston-super-Mare service past Bathampton on 1 September 1985. This Sunday train was booked to run via the Berks & Hants line, and travel via Hawkeridge Junction and Bradford-on Avon. The rear power car can just be seen leaving the Bradford-on-Avon line at Bathampton Junction.